• Do you want to know if your Access Point is vulnerable to the WPS protocol? Ξ WPS Connect Wifi - Wps router Wps App Password Wifi checks the security of your networks using WPS protocol. WPS Connect Wifi - Wps router Wps App Password Wifi is a utility which helps you detect the potential risk of the WiFi which include password risk and WPS risk. In this WiFi WPS Connect - Wps router Password Wifi application you can check if your router is vulnerable or not. If you realize someone has security problem you must inform immediately. This protocol allows you to connect to a WiFi network using an 8-digit pin number that usually is predefined in the router the problem is that the pin of many routers from different companies is known or is known how to calculate it. WPS Connect Wifi - Wps Router Wps Pin uses these pins to try the connection and check if the network is vulnerable. It implements several known algorithms for pin generation and some default pins. Also calculates default key for some routers allows you to view WiFi passwords stored on the device scans the devices connected to your network and analyzes the quality of the WiFi channels. 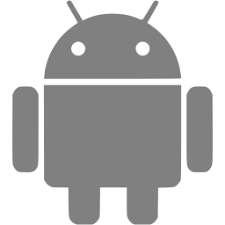 • Root Method : Supported all android version but should be rooted. • No Root Method : supports only Android 5 (Lollipop) and up. • If you are not rooted you can use the application to connect but you cannot show password unless you are rooted. Ξ So can I connect to any WIFI network with this wps app? • No it's not that simple. Although all these data of router models and manufacturers are known over time they realized this big problem and in the new models they have already tried to solve it for example by deactivating the WPS protocol. • There are also people who are aware of these dangers and they themselves are those who deactivate the protocol or change the generic PIN code for their own so this system would no longer work. • Not all networks are vulnerable and that the network appears as such does not guarantee 100% that it is several companies have updated firmware of their routers to correct the fault. • This WPS Connect Wifi - WPS Router WPS App Password Wifi Location Permission is required for Wifi Network Scanning By Android. ✶ Please understand how the WPS Connect Wifi - WPS Router WPS App Password Wifi works before giving an assessment.